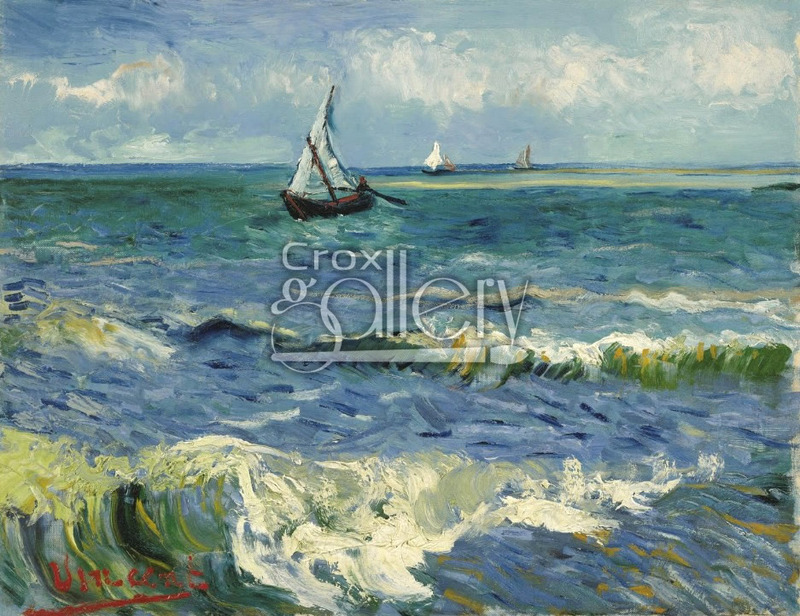 "The Sea at Les Saintes-Maries-de-la-Mer", Seascape by Van Gogh. 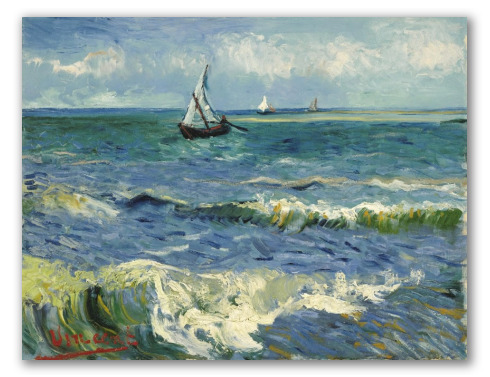 Van Gogh painted this vibrant seascape in 1888. He wanted to capture the amazing and puzzling color of the sea. He described it as a “changing” color. The painting shows the devotion this great artist had to his artwork and it is currently on display at the Van Gogh Museum in Amsterdam.